Two strangers are thrown together in the midst of a zombie apocalypse. "There is a desire within this movie to do something personal and idiosyncratic with its limited resources; The Sky Has Fallen at least has its own take on the apocalypse." With its blunt references to the Book of Revelation, The Sky Has Fallen reminds us that the apocalypse has fascinated mankind for time immemorial. Aside from Christian scriptures, most Creation Myths feature a flood of some sort too, surging across the globe from as far back as the Mesopotamians, and mainstream cinema has likewise depicted its fair share of pan global cataclysm (viz. the career of Roland Emmerich). Mass art reflects our biggest aspirations, along with our deepest fears. And sometimes the representation can be a heady blend of both; come on, who doesn’t have a plan for when the chips go down? No one ever daydreams about what it would be like to have their house burgled, but who hasn’t fantasised about being one of those last lucky survivors at the end of the world, with other people and their annoying ways washed away in a Biblical deluge, or, better yet, mowed down by marauding zombies? And so YA titles such as Divergent and The Maze Runner show fractured societies where teens triumph, Fury Road dominates cinema, and The Walking Dead is the world’s most popular telly. Moreover, film makers of a different calibre are fascinated with the apocalypse too; not just Hollywood producers with the finance to realise cataclysm, but micro budget, indie auteurs as well. Low production values are the palette of the ravages of annihilation, after all, and depicting the apocalypse means never having to say you’re sorry for single location shoots and a restricted narrative. 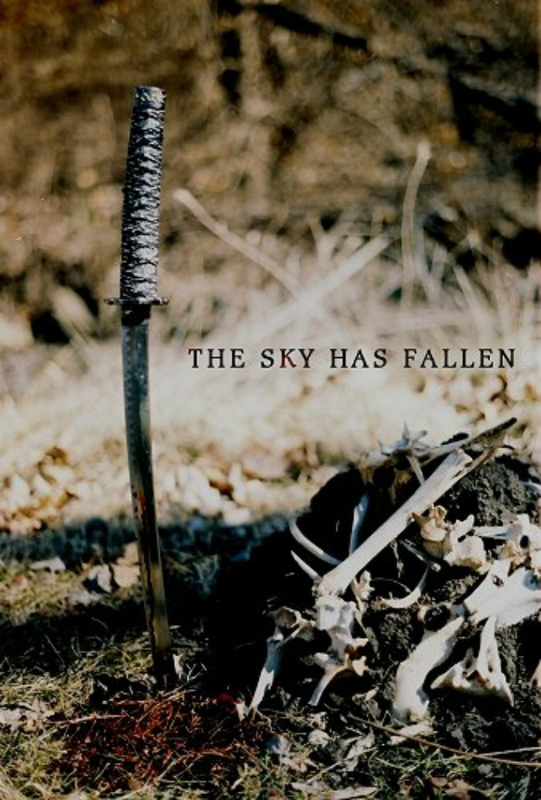 Ok, The Sky Has Fallen is rough around the edges, there’s narrative incoherence and it’s ropey enough to trip itself over several times. Both MacLaren and Kemper are pretty as a picture, and months of living rough have done little to sully their youthful good looks. Within their verdant surroundings, when the pair stand still they could be posing for the Abercrombie and Fitch catalogue. Would it have hurt to smear some mud or grease through their lovely hair? Because, in fairness, the zombies look amazing. 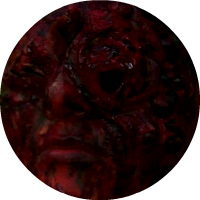 Pustulent and cadaverous, their raw skin bearing stitches across the mouth and vile blisters that look fit to pop, these monsters go about their brutal business with unpleasant chaos, making stomach churning crunches and, well, wet sounds as they do. One thing you have to say for The Sky Has Fallen, is that it delivers on the gore front, and then some (there’s this weird zombie sort of birth scene bit that has to be seen to be disgusted by). And that’s where The Sky Has Fallen shines, leaving other aspects in the leafy shade; sometimes the shot is framed awkwardly, and the pacing can lag - there’s a few too many scenes of Lance and Rachel comparing how hard done by they’ve been by the apocalypse, for example (move on, guys). And then, towards the end of their journey, Lance and Rachel’s expedition gracefully steps towards Nicholas Sparks territory - hunky Lance has commitment issues, too scared to get close to anyone in case a zombie goes and kills them, Rachel is feisty, but in need of being rescued. A zombie romance! Why not? Because the other thing to praise about The Sky Has Fallen is its sense of enterprise - with the odd couple narrative, and the uber-zombies evolution from their typical shambling counterpoints, there is a desire within this movie to do something personal and idiosyncratic with its limited resources; The Sky Has Fallen at least has its own take on the apocalypse.